I had this long post planned out. 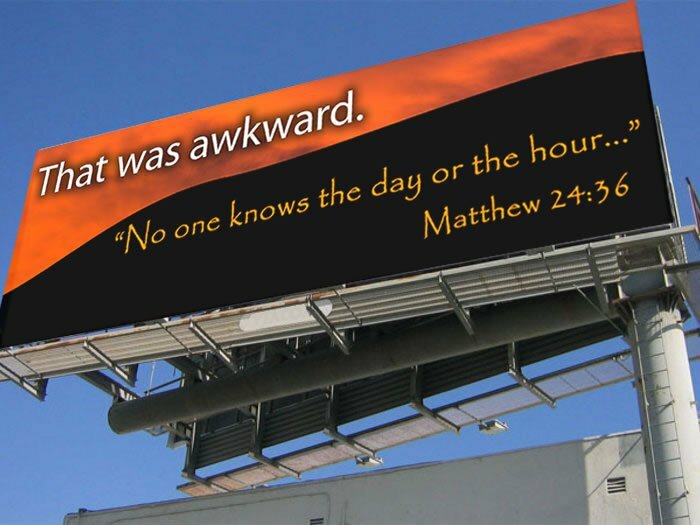 I was going to take Harold Camping's prediction that the Rapture was going to happen on Saturday apart, show precisely how little he knows about the Bible, and expose him once and for all as a charlatan. But this is so funny that everything else that I could say is moot.